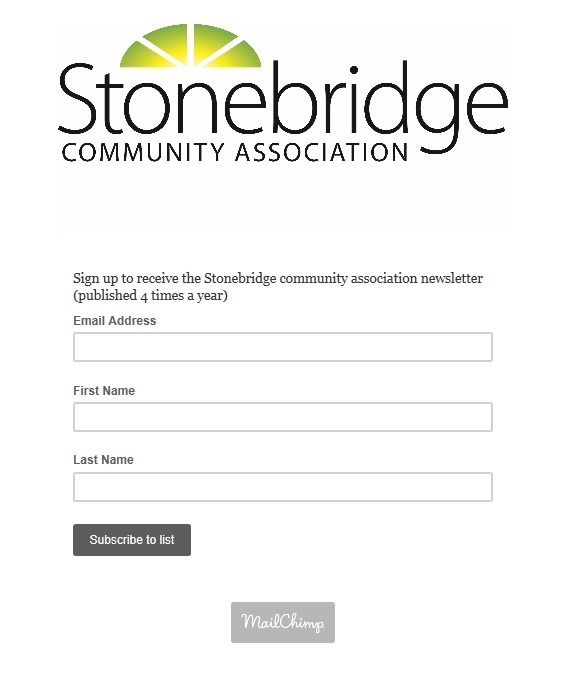 Stonebridge Trade and Craft Show update: vendors announced! 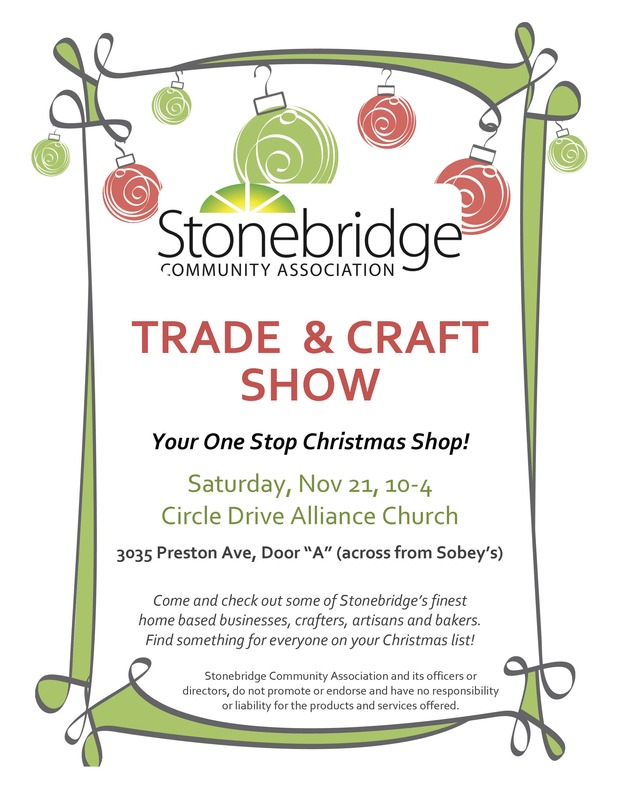 SCA is excited to announce the vendors for our first annual Stonebridge Trade and Craft Show, being held on Saturday, November 21 from 10 am to 4 pm at Circle Drive Alliance Church. Come support our community home-based businesses, and get your holiday shopping done close to home! Admission is free, but we encourage you to bring a non-perishable food donation for the food bank.